All the limestone vineyards on our estate are located on good to excellent single vineyards. This Calcaire 2012 is made solely from grapes that originate from the Heimbourg vineyard which has clearly strongly influenced this wine. 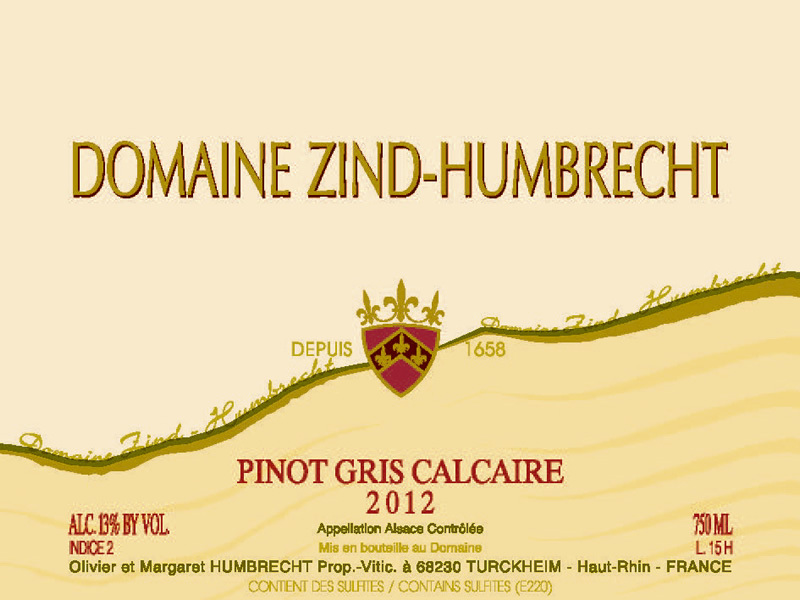 The Pinot Gris planted higher up on the slope is at a higher altitude and has shallower soils. The lack of top soil makes it more aggressive for the vines (very high pH at root level: 9.5) and help this grape to retain a great structure. The grapes were harvested without noble rot and relatively early. The fermentation was very regular and this wine kept little residual sweetness. 2/2012: the nose shows interesting smoky mineral aromas despite a light reductive lees influence. It feels very elegant and will probably take a long time to develop the more classic Heimbourg white fruit flavours. The palate tastes dry due to the positive influence of the acidity. It is hard to believe that there is any sweetness such is the finish fresh and zesty. The poor limestone soil and precise choice of harvest date have permitted to produce a Pinot Gris that has achieved a structure very close to a Riesling.